It’s no secret that the retail sector is undergoing significant disruption, particularly when it comes to e-commerce, which is fundamentally changing the retail landscape and altering consumer expectations at an unprecedented pace. Today’s consumers expect a fast, effortless experience, not just at the point of purchase, but also through to delivery and returns. For retailers, providing a sense of certainty for consumers is imperative, yet achieving it in the highly disruptive and uncertain e-commerce environment requires a new approach to innovation that moves beyond the execution of typical and traditional growth strategies. As renowned author, consultant and teacher at MIT Sloan School of Management David Robertson pointed out at a recent Purolator event on retail innovation and omnichannel strategies, innovation can be likened to dating: retailers should expend the same amount of effort learning about their customers and finding ways to become bigger parts of their lives. The product or service itself is only the beginning. Making a customer’s experience even more compelling by removing barriers and truly understanding their needs and wants is what ensures retailers remain relevant and sought-after. In an e-commerce world, this means catering to customers who are more spontaneous, mobile and motivated by these experiences – and who are demanding flexibility and speed like never before. These considerations are at the heart of Purolator’s latest endeavour, the Mobile Quick Stop (MQS). Laurie Weston, our director of retail, recognized how the dynamic needs of e-commerce required an equally dynamic solution to add to Purolator’s core offerings. In late summer 2017, with the peak holiday package season approaching, Laurie and a cross-functional team saw an opportunity to transform a truck from Purolator’s fleet to become a mobile, temporary location for consumers to pick up their parcels and a natural extension of our retail network and corporate stores. Working with Purolator operations management, Laurie’s team identified a pilot community with a large number of residential deliveries and a gap for convenient package pickup. On October 15 through to the end of the holiday season, Toronto’s Liberty Village – an urban, densely-populated neighbourhood in the city’s west end – became the host of the specially-wrapped MQS truck, allowing local residents to experience the convenience of claiming their packages within a few blocks of their homes. Convenience and flexibility: The MQS provided customers the ability to pick up packages outside the home but still in the neighbourhood, avoiding missed deliveries if not home or if key pieces of information such as buzzer codes were missing from the package labels – a common occurrence for condo dwellers. This local convenience for pickup was of particular importance for consumers who live in urban centres, often do not own a car and appreciate being able to walk or bike to a pick-up location. In fact, during the holiday pilot, we noticed a high pick-up rate in the first 24 hours of a package delivery vs. if the package had been taken to a terminal. Mobility based on demand: In a traditional B2B final-mile delivery model, demand is fairly predictable and timing and flow of volume doesn’t change often. That’s not the case with e-commerce, where peak season and online shopping “events” affect every stage of the value chain in very unpredictable ways. The MQS offered the flexibility to move to different locations within a neighbourhood based on fluctuating volume and demand, slashing the need for re-deliveries and ultimately elevating the customer experience by offering a window of pick-up times that were convenient for today’s busy consumers. In fact, a web-based app allowed customers to enter their Purolator package ID number to not only check the status of their package, but also to see the location of the MQS truck and its hours of availability. On-time delivery: For consumers (and delivery companies), a package that arrives on time is at the heart of the ideal delivery experience – and consumers are expecting their shipments to arrive faster than ever before. In fact, only 42 per cent consider three- to four-day service fast. The vast majority (83 per cent) expect their deliveries within two days – and that’s shrinking even more through services like Amazon Prime. When a customer misses a delivery and the shipment must be re-delivered or picked up at a terminal, that means the package isn’t arriving when the customer wanted or needed it. With the MQS, an employee was able to call the customer that night, giving them the opportunity to get their package the same day. This can have a cascading effect on retailers, who reap the benefits of a positive customer experience throughout the entire purchase cycle. The pilot MQS in Liberty Village received overwhelmingly positive feedback, with an overall customer Net Promoter Score (NPS) of 93.7 and an average of 90 packages picked up per day. Following the holiday season, the pilot truck moved to the Scarborough, Ont. GO Transit station (in a partnership with Metrolinx), where it will remain until the end of December. While Scarborough features very different characteristics than Liberty Village, it is still an urban setting, and the MQS is located at a busy transit hub for commuters who typically aren’t home to receive packages during the day. Customer feedback continues to be strong, with positive comments on the convenience of picking up and dropping off packages on the way home from work. The potential for the MQS is enormous, and the pilot trucks have demonstrated that there is an opportunity to increase the fleet – both during the peak holiday season and all year round – depending on volume, weather and customer wants and needs. Its ability to evolve, both in scale and in function, to include new experiences and offerings to meet the changing needs of consumers and retailers alike demonstrates that it’s possible to continue to elevate the e-commerce experience even at the last mile, and there are already big plans in store for Holiday 2018. The retail market is undergoing significant change and we often believe that a significant transformation is required to be successful in this environment. However, the opposite can often be equally true. In an uncertain market, innovation is essential, but it doesn’t have to be daunting. The success of Purolator’s MQS demonstrates that great ideas don’t have to be difficult, challenging, transformational or cost-prohibitive. Keeping sight on what you do best – coupled with a laser-focus on what your customers need and want is the key to staying ahead of the game. Innovating around the box, truck, store or other core strength is a great starting point. All it takes is a great idea, an enthusiastic team and support from all levels of the organization to bring it to life. Ramsey Mansour is the Vice President of Corporate Strategy and Marketing at Purolator Inc and is responsible for Purolator’s marketing activities, including strategy, segmentation, communications, public relations, brand, direct and digital marketing, customer research, competitive intelligence, strategic partnerships, product marketing and new product development. 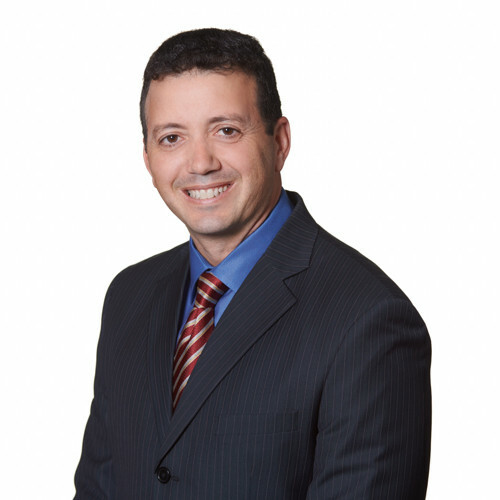 Prior to joining Purolator in 2011, Mr. Mansour spent over 20 years within the transportation and logistics industry; leading various marketing, sales, M&A and technology initiatives, including assignments within North America, Europe and Asia. Follow him on twitter @ramzmansour.